Joseph Awarji, a former telecoms executive from Damascus and his wife, Rosanna, left their comfortable life in the Syrian capital because they did not want to bring up their children in a country at war with itself. 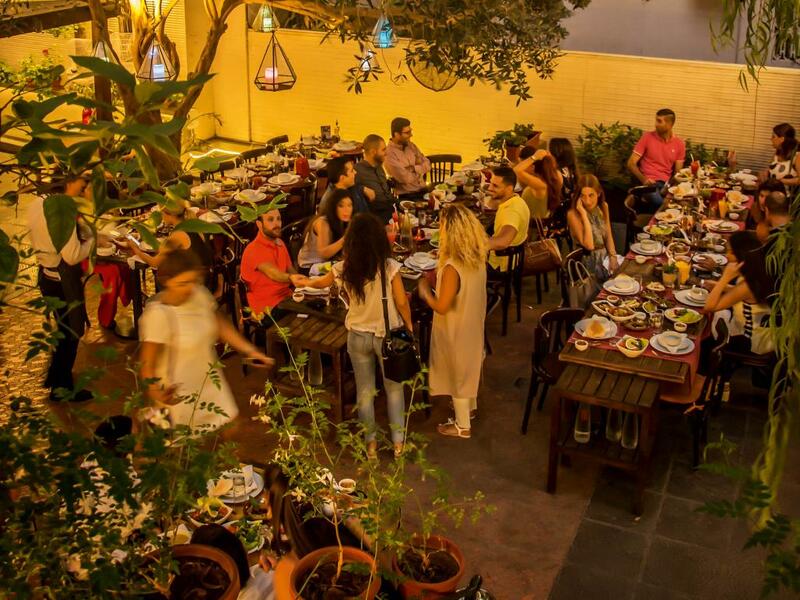 They settled in an upscale Christian neighbourhood in Beirut and opened two restaurants, Bab Sharki and Bab Sharki Jardin (above). They feel safe, but torn. When I visited Awarji, he ordered kebabs for us, served in the traditional Damascene way, with the grilled meat hidden under a roof of pitta smeared with tomato sauce and a grilled tomato, a grilled onion and a mound of parsley on the side. The smell brought back memories of evenings with friends in Ottoman courtyards overhung with jasmine. It recalled a whole, lost world. Food has always been at the heart of Syrian identity, and for nearly a million refugees that is true in a new, sharper way. When homes are destroyed and families scattered, food is a rare constant. It can also be a means of survival. For those who have lost jobs and professional status, cooking is an easily transferable skill, so conflict tends to spread cuisines. During their civil war, many Lebanese went abroad and opened restaurants. Hmong refugees, who began arriving in Minnesota from Laos and Thailand in the mid-1970s, set up a farmers’ association, growing traditional ingredients. In Delhi, Afghan women forced to flee their homeland have established catering businesses serving up traditional dishes. For outsiders, Syrian cuisine seems to blend into the typical regional mix of lamb and aubergines, scattered with pomegranate seeds, drizzled with tahini, fragrant with orange-blossom. There are indeed many similarities, common ingredients and dishes. But no Middle Easterner would swallow the notion that the region’s food is all much of a muchness. Syrian cuisine is a sophisticated banquet of Ottoman excess that met Persian sweet-and-sour on the spice route. 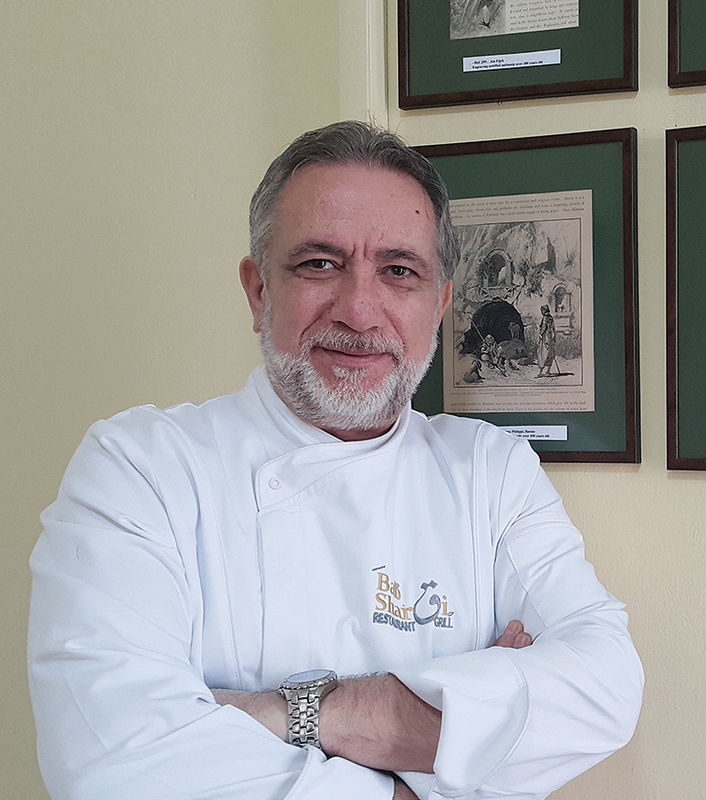 Dishes are rich and complex, regional and multi-ethnic: Circassian walnut chicken, Armenian sujuk sausage, delicate baklava from Semiramis in Damascus, which many regard as the greatest pastry shop in the world. Syrian use of spices, in particular the rosy red pepper of Aleppo, is particularly distinctive. Shanklish, cheese made with sheep or cow’s milk, is rolled in the stuff. In addition to the thyme, sumac and sesame seeds that are widely used in za’atar, Syrians add ground, roasted chickpeas, fennel, coriander, cumin and black sunflower seeds. Kamah, mushrooms known as desert truffles, flourish east of Damascus and are a prized and delicious ingredient. For a smallish country, Syria has a diverse cuisine. In the north, the Turkish influence is most apparent: delicious kebabs and the world’s best kibbeh abound. Farther east, the food more closely resembles that of Jordan and Iraq: rice-heavy, slow-cooked Bedouin dishes of meat and aubergine. As the Syrian diaspora has spread, so has awareness of the delights of its food. Majdi Sharshafji, an Assyrian from Aleppo, has recently opened a restaurant, Loris, in the fashionable Gemmayze district of Beirut. He ordered the famous Aleppo cherry kebab – a strange notion to the Lebanese, who have no truck with combining meat and fruit – for me to try. It was sweet and tangy. The sour cherries, Sharshafji told me, come from an area outside Aleppo now under control of one of the jihadi militias. Civil war notwithstanding, the trade still continues. In Malmö in Sweden five Syrian restaurants have opened in the past year. In New Jersey glowing red muhammara, that spicy pepper and walnut paste, is one of the starters at Aleppo, a restaurant that opened a year ago. Other entrepreneurs have ventured as far as São Paulo, in Brazil. Syrian food is being used to raise awareness of the conflict and its human consequences. This summer several Syrian chefs cooked alongside French chefs in Paris restaurants as part of the first Refugee Food Festival: Stéphane Jégo, who has refined rustic Basque cuisine at L’Ami Jean, a trendy Parisian bistro, shared his stove with Mohamad El Khady from Damascus, and together they introduced pistachios and tahini and stuffed courgettes to diners. “The language of gastronomy is universal,” said Jégo. In Berlin, classes in cooking Syrian food are being offered through Über den Tellerrand (“to broaden one’s horizons”), a charity. Lisa Thaens, who runs the initiative, hopes that it will make people see that refugees don’t just take food and shelter from host countries: they bring riches, too. Those teaching the classes are engineers and web designers – not professional cooks, but people whose lives have been smashed by war. Thaens says that food gives refugees a way to offer their hosts some kind of welcome, to turn the tables – and cover them with food. In London, this November, well-known chefs including Nuno Mendes and Yottam Ottolenghi are coming up with Syria-inspired dishes to raise money in aid of Syrian refugees for a campaign entitled #cookforsyria. Fancy breakfast places around the city are serving duck kibbeh with pomegranate molasses and smoked aubergine labneh; hip burger joints are cooking Syrian-style kebabs. As food travels, it changes. Dima Chaar is a young female chef from Damascus with a pixie haircut who often guest chefs at Makan, an experimental restaurant in Mar Mikheil, a fashionable neighbourhood of Beirut. Chaar is passionate and idealistic. “I cook Syrian food with a twist,” she told me one evening after she had finished a stint cooking “Syrian tacos” filled with beef shawarma and Aleppo crispy chicken, at an outdoor food stall event.